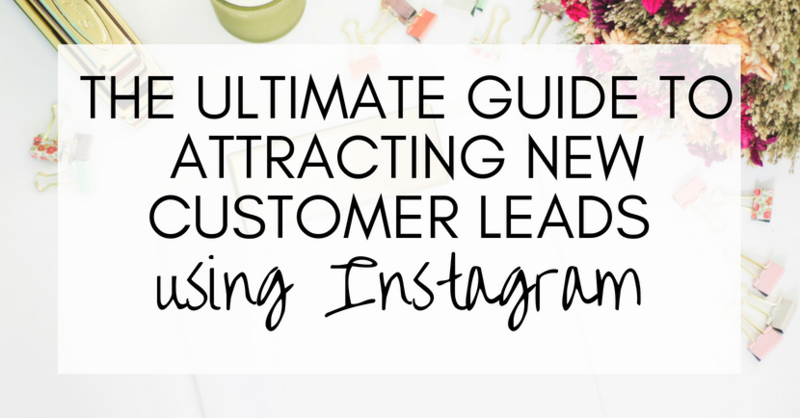 I wanted to use this short guide to share with you what I personally do to turn Instagram followers into new customer leads. This is also the same method I use with my client accounts. With that in mind, I can vouch for how effective it is. As online marketing goes, it’s also a pretty simple way to get customers. 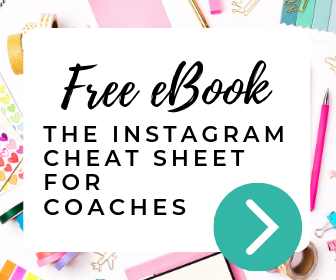 If you have an Instagram – big or small – and want to start using it to generate new customers for your business, this is the post for you. This method is a process or in marketing terms it’s a funnel. I often refer to it as the Instagram lead funnel. Let’s start with the first step of that process – your current Instagram account. Let’s start with a look at what you should be posting on Instagram. After all, if you want customers, you need to start attracting those people the moment they scroll past a post you’ve put on Instagram. Once you’ve got their attention and they are following you, you then need to up your game. You must provide content that is going to promote and showcase your business. So really, content on Instagram falls into two categories: value, and promotional. Let’s start by looking at promotional content. Do you fall into either? The truth is, you have to promote on Instagram if you want to attract new business. However, you can do that in a classy way and you can do it infrequently. That promotion is still going to work wonders. You have a lot of options open to you. You can create a challenge. Or a competition. You can advertise. You can use stories. I don’t want to spend too long on this post on how to create good promotional messages, as I have other blog posts that go into it in more depth, such as this post on 6 quirky ways to market on Instagram. But my point is this. Get comfortable with promoting yourself. Find a method that works in alignment with your values, your brand and your audience. Next, let’s talk about value content, because this is important to understand if you want your promotional messages to remain “classy”. The majority of your content on Instagram should be value content. By that, I mean content that does nothing other than provide value in some way shape or form to your followers. Remember, people scroll through Instagram very fast. They will make a split second decision about whether your content is valuable, so your content has to pop out the page in terms of being something that is interest. Create a strong, branded theme. Because followers are unlikely to glance over the tiny profile picture and name to tell them who is posting, and are far more likely to look straight at the image. If your posts are distinctive (i.e. they obviously belong to you) and your followers really enjoy your content, they are more likely to stop and engage with it. Engaging with content means Instagram let’s a bigger, wider audience see it. That’s going to help you grow. Is it facts, statistics, information? Perhaps they want to be motivated? Do they want to get to know you better? Maybe they want to see the personality behind what you sell? Do they want to see something visually beautiful? Interesting? Thought-provoking. A talking point? Gear your value messages to your prospective followers and your current followers, and gear your promotional messages to your loyal, existing followers. The reason I suggest that is because you concentrate on making your content serve a slightly different purpose – in order to attract new followers, your value content should stand out from the crowd, it needs great hashtags, and it needs to be extremely clear what it’s about. Your promotional messages are warmer in vibe, speak more intimately to your audience, and must be strongly branded to it’s clear in a split second that the post is from you. Always lead followers back to your profile link. Yes you’ll sound like a broken record. But when it comes to social media, don’t rely on people going out of their way to find out who you are and what you do. They probably won’t. If you want anyone on social media (or online, for that matter) to do anything, you need to give very specific clear instructions about what you want them to do. Double tap to let me know that you enjoyed this post. If you want more helpful tips like this, click on my profile link to check out a freebie I think you’re going to love. Be very specific. Make it easy. Another good tip here is to make sure your Instagram is a business account. Once on a business account, you’ll see quick stats every time you login. It will tell you how many people have visited your profile page. Learn this number. Memorise it. And check it daily. If it’s going down, you need to switch gears. You need to start encouraging followers to click on your profile page. If that number goes on, then pat yourself on the back – you are doing a great job. It’s a simple but effective metric that will help you make sure Instagram is working right for your business. If you want to use Instagram for your business, you have to have a method for turning your followers into customers. Firstly, you must convert followers so they are doing something other than simply following you on Instagram. Which one do you think is most likely to bring you a new customer? Answer: It’s an optin page. The reason is fairly straightforward. Instagram users don’t want to leave Instagram to go and browse around a website (a general rule for all social media, in fact). So chances are, if you direct people to your website address, very few people will click on it and those that do won’t spend a huge amount of time browsing it. On the other hand, sending people to a sales page is a bit, well, presumptuous. Yes they are following you on Instagram. But do they really love you that much? Are they honestly ready to buy from you? Chances are they are following hundreds of Instagram accounts, so they probably haven’t developed a “trusted” relationship with you yet and are unlikely to be in a position where they are ready to buy. That leaves us with the optin page. An optin page is perfect. It’s one page – so no browsing required. It’s got a freebie in exchange for an email address, so they have an incentive to click on your link. And once converted, they are on your email list, leaving you endless future opportunities to build up a relationship with them and turn them into a customer. Let’s recap. We started off talking about using your Instagram account to publish content that your ideal customer will love. Then we talked a bit about encouraging them to click on the link in the profile. Lastly, we talked about how an optin page is the perfect way to get your follow to take that “next step” on their way to becoming a customer – by signing up to your email list. When someone signs up to your list, you can send out “broadcast” emails to your list. This is what most businesses do (think: hey, I have a sale on this week, 20% off etc). Alternatively, you can craft an autoresponder. An autoresponder is a set of sequenced, automated messages that go out to your new subscriber. I use an autoresponder, and here’s why. It gives me a chance to communicate with my new subscriber so they can get to know a bit about me, what I do, my values, how I can help them, and of course, it gives me the opportunity to carry on that relationship I’ve been building with them up until this point – by giving them plenty of value that’s going to help them and their business. I highly recommend an autoresponder. Start off with something simple like a 5 day email series. Use that series to introduce yourself, sell your concept, give value. Essentially, turn that follower who might know a little bit about you into a raving fan. Those are the people that are likely to buy from you. How you sign up a new customer depends on your business. If you’re an e-commerce business, you might think about promoting a new product launch, or a holiday sale. If you’re a service business, perhaps you want to get people to give you their phone numbers so you can close a deal with a sales call. However you are selling to your audience, once you have that person on your email list, selling to them simply becomes the next natural step. If you have done this process right, you should have people on your email list that love you, know exactly how you can help them, and are ready to buy. If they don’t fit all of those three categories, they will have probably unsubscribed from your email list by now (and that’s OK – you’ve got to qualify a customer, whatever business you are in, and there’s no point having people on your list who don’t enjoy the emails you send to them). By this point in the process, on your email list you should have warm leads – people who have followed you all the way from Instagram to become a subscriber and read the autoresponder emails you’ve lovingly drafted. Don’t be afraid to send out a sales email to get that person to buy from you. That’s something you can do within 1-2 weeks of them signing up to your list (it doesn’t sound like a large amount of time, but research shows this is actually a peak point for people to still be in that buying frame of mind). My top tip? Just get started today! There is the process laid out in front of you. All you need to do now is set it up for your business. And effort-wise, it isn’t much more than a few bits of quality Instagram content, an optin page and an autoresponder series. Of course, I’m always here if you need some help you get all that in place and if you want that help make sure you sign up to my email list (there’s a link at the bottom of this article) so you can be notified when I next have consultancy spaces open. Which ever way you choose to get this set up, good luck with it. And remember – it’s worth investing the time and effort into putting this stuff in place. Once you’ve done the work to get it set up, it pretty much runs itself. But that funnel will give you months and months of new customer leads for your business (for however long that funnel stays in place) . 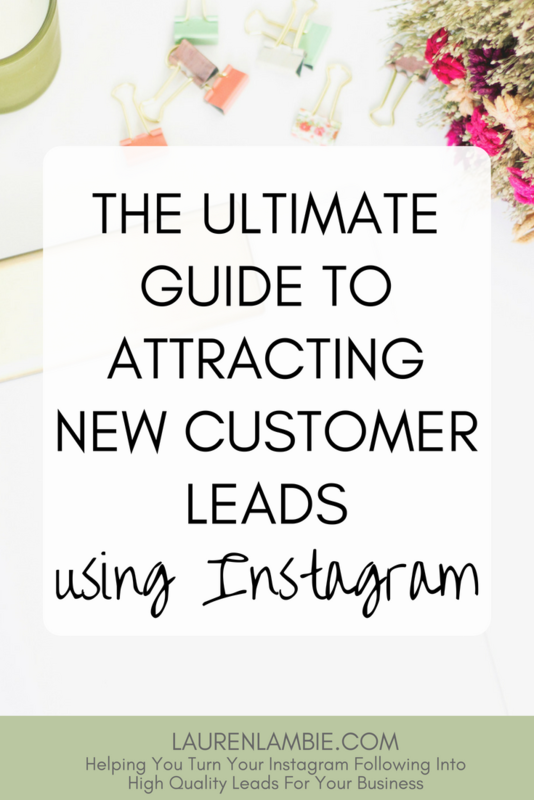 Whilst Instagram is around, you’ll be generating new customer leads.